In a press conference today, NASA Director Sean O'Keefe announced the preliminary findings of the Genesis space probe. 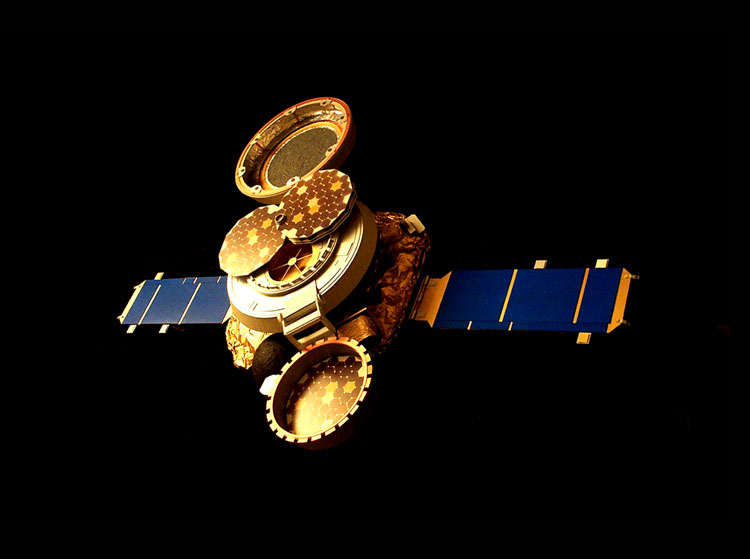 Genesis, which succesfully engaged on a 3-year mission to explore the solar winds before crashing to Earth when a parachute failed to open, was salvaged from the Utah desert and moved to the clean room facilities of the Jet Propulsion Lab in Pasadena, California. 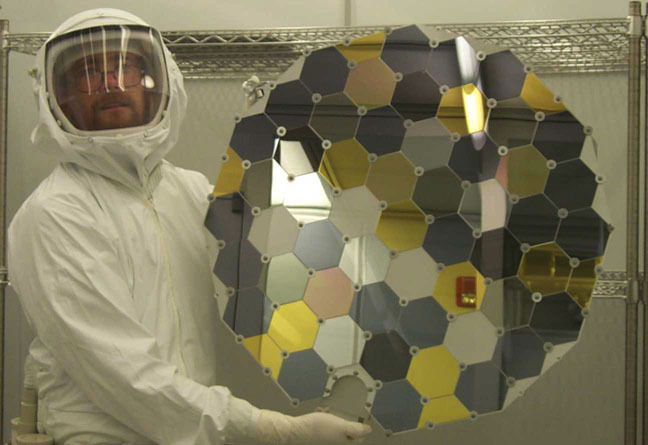 "Thanks to the hard work of the recovery team," said O'Keefe, "we have completed the processing and analysis of approximately 98% of the samples, and can now announce our preliminary results: the 'solar wind' that is blowing from our Sun is composed primarily of dirt." "The majority of the solar wind is silicon dioxide, comprised of particles ranging in size from 0.063 to 2 mm, but a variety of other compounds and substances are present in trace amounts, including alumina, ions of potassium and magnesium, and nitrogen. Surprisingly, the particles we found -- despite their extraterrestrial origin -- are very similar to topsoil samples taken in southern Utah. While I don't want to wax philosophical, this coincidence does emphasize that the Earth is, indeed, a child of the Sun. It really makes you marvel at the complexity of our Universe." In addition to determining the chemical composition of the solar wind, NASA has announced other findings as well. "Many of the gold, sapphire, silicon, and diamond wafers inside the Genesis capsule were shattered, as if they had suffered some sort of blow, or severe impact. This leads us to conclude that the solar wind is stronger than we had previously imagined, and presents a potential risk to near-Solar spaceflight. This may affect the design of future spacecraft." O'Keefe was reluctant to discuss the crash itself, which has been the latest in a string of embarassing equipment failures at NASA. "Our engineers are still studying the data. Our current best theory is that the constant buffeting during reentry caused either an overabundance of bogons or a temporary dearth of relions in the parachute release mechanism. Some of our best quantum bogodynamicists are pursuing this path now, but really, it's far too soon to say for certain what caused the event." Were there any hints from what has been learned from the Genesis space probe pertaining to interaction between solar wind and Earth's so-called "polar flip" events?"